New Year’s Eve is all about getting dressed up, putting on a sparkly hat, and getting so drunk that you don’t mind watching several hours of Anderson Cooper or Ryan Seacrest on TV, but New Year’s Day is about groggily rolling out of bed, pushing aside all of the previous night’s detritus, and either going for a healthy walk to start the year off right or settling in on the couch for a whole day of uninterrupted media consumption. For the people choosing the latter option, particularly those who know the difference between a muggle and mudblood, HBO will have your day all set. That’s because it just announced in a press release that it’ll be airing the entire Harry Potter saga—including Fantastic Beasts And Where To Find Them—back-to-back with no commercials starting on January 1 and going into the early morning of January 2. HBO Go and HBO Now will also have all nine movies available to stream staring on January 1, making this the first time the entire Harry Potter collection has been available in the same place—though that’s kind of disingenuous, since the latest movie only came out relatively recently, so of course this is the first time they’re all available. Semantics aside, all the witches and wizards out there will be able to ignore 2018 for an extra day or so now. 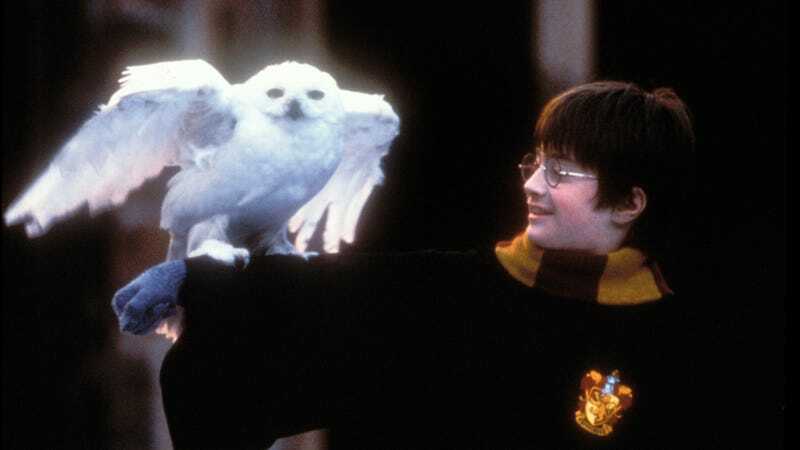 If watching nine movies that each get progressively longer isn’t really your thing but you still love The Boy Who Lived, his dumb friend, and his smart friend, HBO will throw a bone your way as well with a staggered Harry Potter marathon that features one movie each night. That’ll start on January 2.